In In 2013, the well-known watersports brand ION decided to broaden their product scope with a sweet line of largely gravity focused mountain bike clothing. 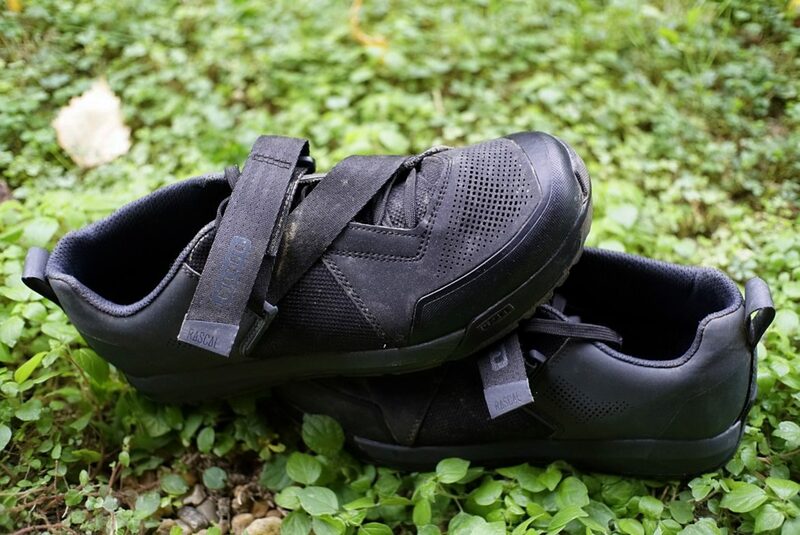 They have continued to release good looking technical gear since, and we are excited to share our first-hand impressions of the Rascal, an SPD-ready mountain bike shoe. From a short distance, the Rascal shoes look like futuristic skateboard kicks, and who knows, they might eventually be hoverboard-approved. There are very few stitches to wear through or come loose on the toe, heel, or other high-contact points. 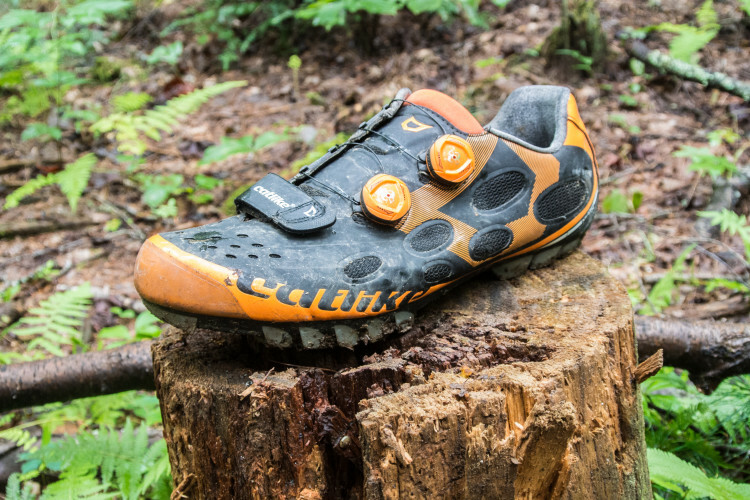 The rubber molding on the toe and heel looks robust and ready to take some trail abuse. The shoe’s retention system uses a traditional 5-hole lace, coupled with a seatbelt-like strap, called a Serpen_Tie, that crosses the top of the foot twice. The laces run through loops that are mounted between the tongue and the side of the shoe, creating an anchor to keep the laces as tight as you like them. The serpentine strap is made from a sturdy piece of nylon and can be adjusted on the fly if needed. The Serpen_Tie crosses the top of your foot twice, providing on-the-fly adjustment. 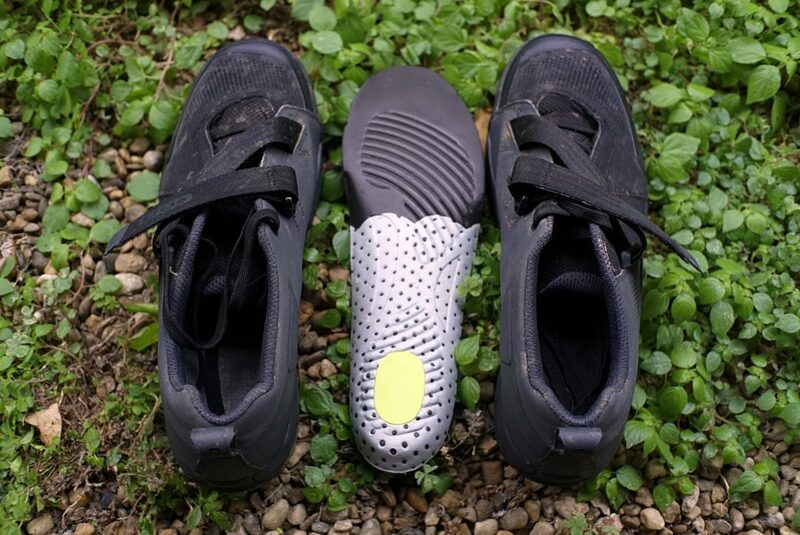 The bike-facing side of the shoe is cut slightly taller than the outside, providing a bit more protection for the bulbous end of your tibia. There is also an extra chunk of hard padding where your inner-foot meets the crank, which is a spot I sometimes smack against my bike in rough rock gardens. The toe box of the Rascal is wide and very well protected. I had enough room up front for a thick pair of wool socks, and waterproof socks would definitely find space in there as well. I have particularly narrow feet and my size 44 Rascals felt almost too roomy in the toe box. 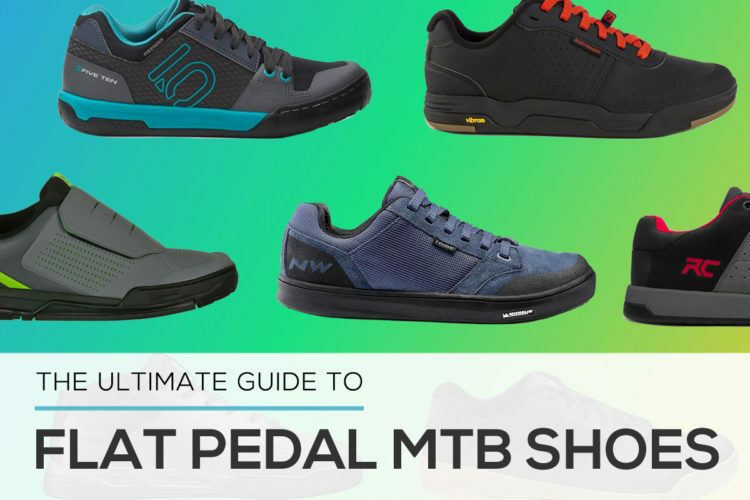 I have no doubt that I will appreciate that extra space and the rascal’s built-in toe protection when a rock makes its way from my front tire to the front of the shoe. Vents on the toe and outer foot circulate enough airflow through the shoe that your foot should stay cool enough. I have yet to ride in hot weather with the Rascals, but they appear well-equipped for all seasons. 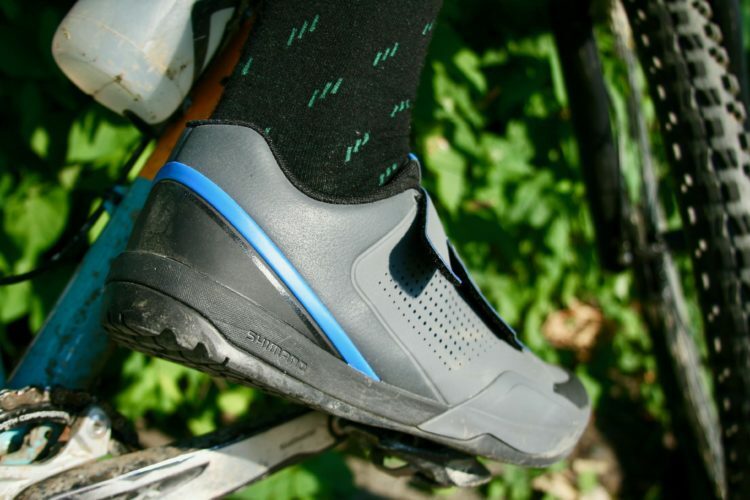 Ion claims that their 2K Insole provides both damping and arch support, resulting in less foot fatigue on long rides. We will have to take their word on this element, as I have pancake-flat feet, and may need to replace the insole with a flat one to use the shoes long term. Here is a view of the underside of ION’s 2K insole. From both an aesthetic and functional standpoint, the Rascal is a well thought out piece of gear. So how does all of this design and material construction play out on the trail? My first couple rides on the Rascals were wet shreds up the mountain behind my apartment, and back down the other side. 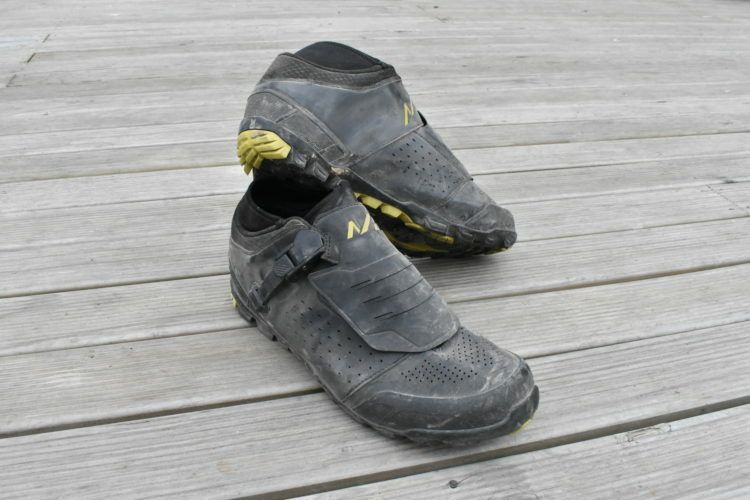 For comparison’s sake, I have been wearing Shimano’s AM9 shoes recently, which I really like. While lacing up the Rascals I was excited to find that the lace eyelets are a lot further apart than any other shoe I have tested. I can cinch the shoes uber tight, and there is heaps of room for them to get tighter. For narrow-footed people, this might be a primary selling factor. The shoes will stretch, and the eyelets will become closer together over time, but I don’t think I will run out of room to tighten them. I ran into an issue with tightening limitations on the Shimano AM9 kicks after 5 months of consistent riding and material stretching, so I am stoked on the Rascals. 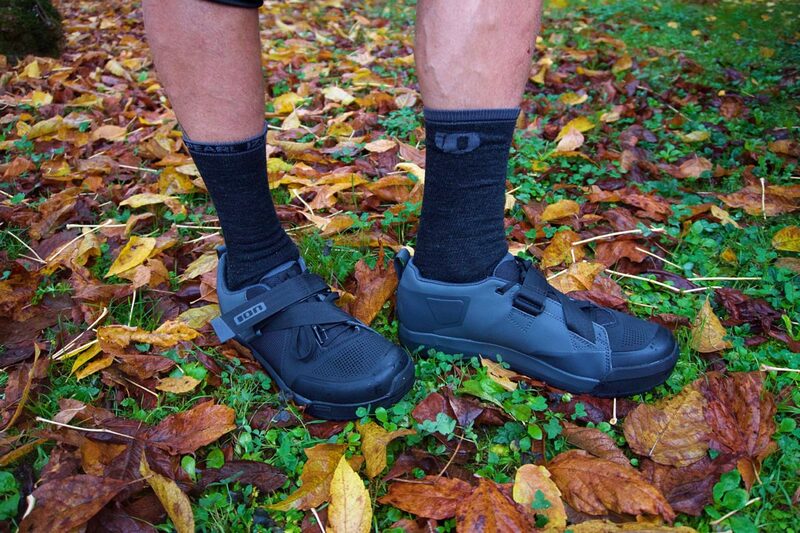 The only other comparison I will make to the Shimano AM9 shoes is the sole stiffness. The Rascals feel considerably stiffer when pedaling hard out of the saddle, and in a sprint they provide better sole support. With my pair of the AM9, I can feel the rigid plate in the front of the shoe that supports the cleat, as the rest of the shoe squishes around it. The rascals produce a much stiffer sensation, and I could not feel any of the internal elements of the sole. The Rascals’ sole feels like one solid platform. For racing and hard riding, these may be a better option. Off the bike, the Rascals shined brightly. 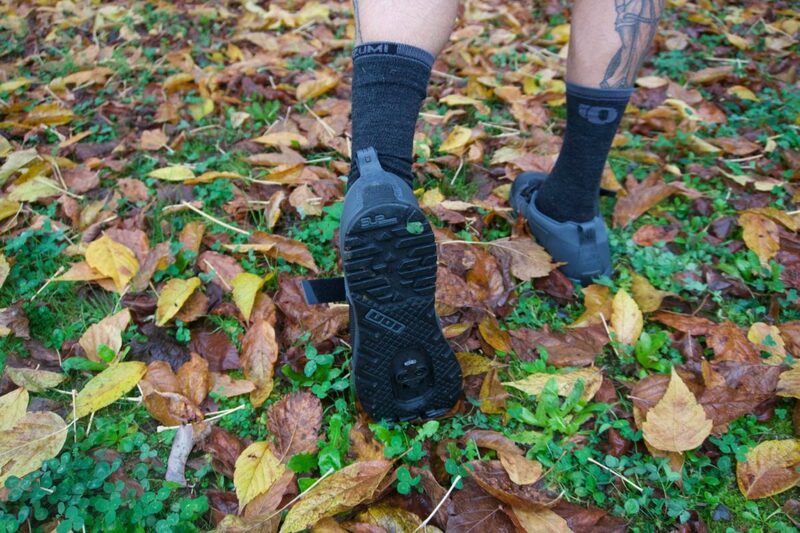 There is just the right amount of traction at the toe and heel to give them good grip on wet leaves and mud. I did not have any trouble walking up steep sections to session the track while it was raining, which was a welcome surprise. The sole has enough flex to make the shoe feel naturally walkable, despite its stiff pedaling character. This tread pattern not only looks cool, it grips quite well. The cleat cut-out is spacious enough that I didn’t have any trouble clipping in and out in the mud with my Shimano XT Trail pedals, though this is something I have come to expect from all modern clipless shoes. With a fairly deep cleat recess, the Rascals’ outsole will contact slick trail features before the cleat in most cases. There is enough squish in the outsole that your cleats will make some audible tap-dance clicks on your local cafe floor. 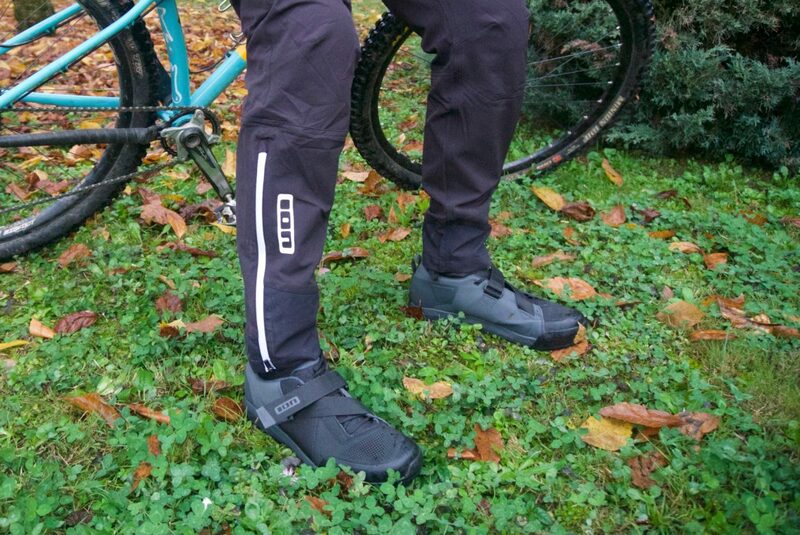 With synthetic materials throughout, the Rascals kept my feet surprisingly dry and warm through a few wet autumn rides. When I arrived home my feet felt good all around, my socks were only wet from a little sweat, and the shoes stayed as tight as I tied them when I left. Water quickly soaked through, as expected, when I sprayed the mud off of them with a garden hose, but at that point I was home and happy to still have warm feet. The long cleat channel allows you to slide the cleats back close to a mid-foot position. Rascals are compatible with all modern clipless MTB pedal systems. The most immediate positive aspect of these shoes is how stiff the sole is. 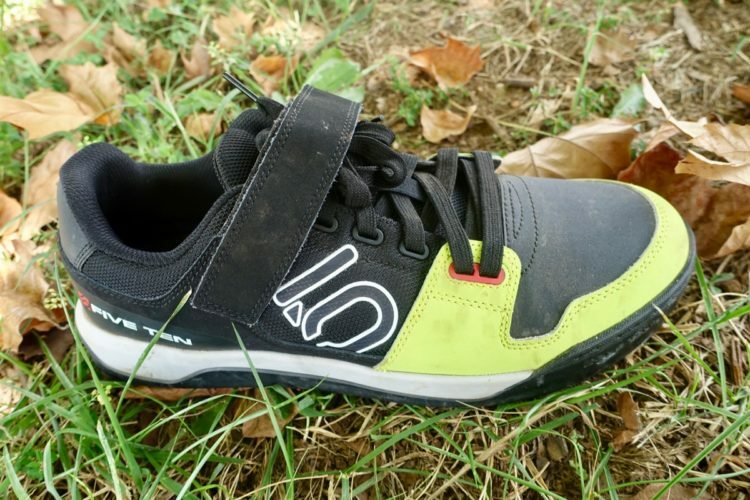 Having a clipless shoe that I can confidently sprint in without feeling the sole smoosh under my foot is confidence-inspiring. Somehow ION managed this while maintaining enough flexibility in the right places to make the shoe comfortable to walk in. This key factor alone would convince me to buy these shoes. 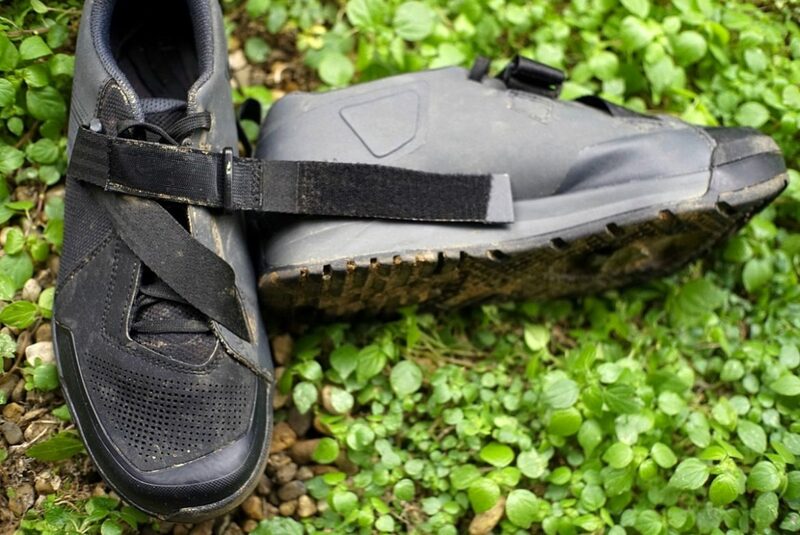 To further highlight the shoes’ walkability, I really like how much grip the soles provide on wet roots, and the toe and heel tread make getting around in the forest a thoughtless endeavor. 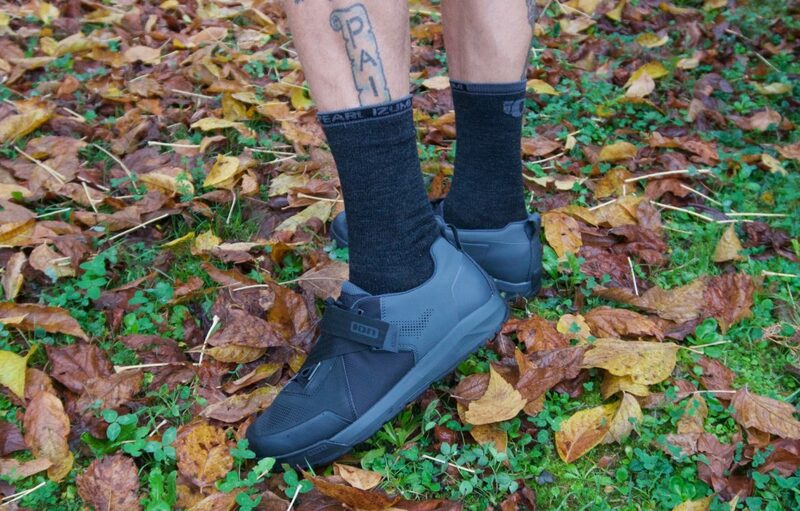 Additionally, the Rascal kicks kept my foot dry and warm with one pair of wool socks on a fairly cold and soggy ride, they were easy to clean, and they look good enough that I wouldn’t mind wearing them to the bar afterward. I rode in the rain with these shoes, and it took three full days of the shoes sitting against my heater for them to completely dry. If you like to splash in puddles you may want to use a shoe dryer and some newspaper or cedar chips to get these dry quickly. I also found the Serpen_Tie strap a bit too long for my narrow feet. I was not able to fully tighten the strap and still have its hook-and-loop pieces overlap, which meant I had to leave the strap looser than I would have liked. Fortunately, the laces were plenty tight so this didn’t make any difference. Again, I have particularly flat and narrow feet, so this should not be an issue for most riders. 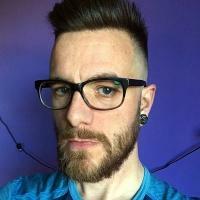 Thanks to ION for providing the Rascals for review.